Iran’s place in world terror has been thoroughly investigated. The person who did it did not live to tell the tale. It has become clear that many Jews who live in the US do not understand the nature of the threat posed by Iran. ​There are ten lessons that Jewish Americans must understand. Jewish Americans must understand: The Iranian deal is not only about Israel. Jewish Americans must understand: The Iranian deal is not only about nukes. Jewish Americans must understand: If Iran gets the $50 billion in its coffers; an Iranian killing machine will be launched around the world. Jewish Americans must understand: That Iranian killing machine will pose an undisguised threat to every Jew in the world, beginning in the US. Jewish Americans must understand: The American Jewish Committee commissioned a study of the Iranian curriculum and found that Iranian schools prepare their students for war against the “Great Satan”, the US. The report is found on the website of the AJC for all to examine. Jewish Americans must understand: Tehran sponsored and carried out a mass murder attack at the hub of Jewish life in Argentina – a sign of things to come. Jewish Americans must understand: Two years ago, The Argentinean prosecutor Alberto Nisman issued a massive 500 page report which documented the plans of an Iranian killer network in more than a dozen nations. 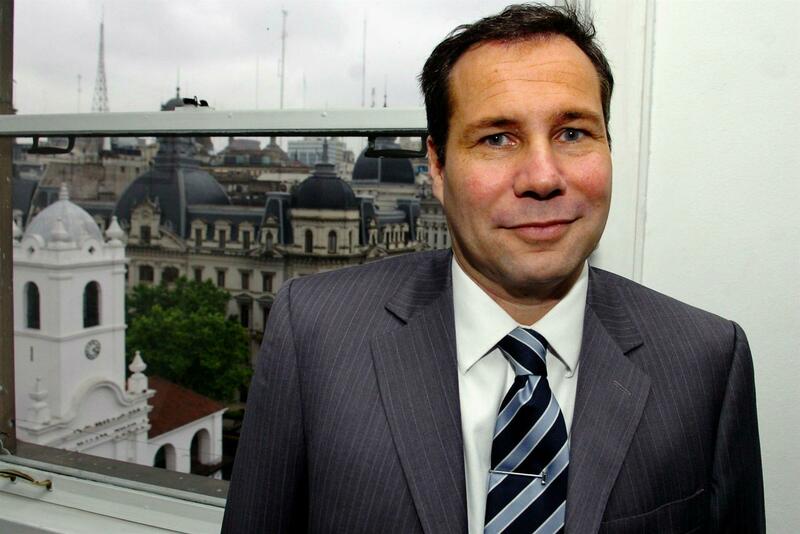 Jewish Americans must understand: Alberto Nisman was assassinated this year, and the case has been closed. There will not be an investigation into his murder. Jewish Americans must understand: The Nazis obfuscated their plans to murder Jews. Tehran is proud to proclaim its lethal intentions. http://albertonisman.org/documents/. Here is a summary of Nisman’s thoroughly detailed 500 page report, click here. So there you have it. A Jewish prosecutor in the employ of a western government warns his nation and warns the Jews of the world of the systematic impending threat posed by Iran. The prosecutor is then murdered. The question remains: Will Jewish Americans bury the Nisman report and ignore the warnings of Alberto Nisman? This is a very important website especially for Jews. But remember it is usually first the Jews and then the rest who do not follow the beliefs of those who kill.